The 50th anniversary of the start of the Cultural Revolution, which plunged China into a decade of chaos, has been met with silence in state media. On 16 May 1966 Communist leader Mao Zedong began a campaign to eliminate his rivals. At the same time he called on Chinese youth to "purge" society. Years of bloodshed and turmoil ensued, ending with Mao's death in 1976. How to handle the era's contentious legacy has remained a challenge to China's Communist rulers to this day. On Monday, the main state media outlets made virtually no mention of the anniversary, focusing on coverage of the South China Sea and other domestic issues. No official events were planned by the authorities to mark the 50-year milestone. Fifty years after Chairman Mao sent a quarter of the world's population hurtling into a decade of chaos, there is virtually no mention of the anniversary. Yet this is not a blanket censorship policy like with, say, any discussion of the 1989 Tiananmen Square crackdown. On China's Twitter-like Weibo the Chinese words for "cultural revolution" have not been blocked. On the Sina News website there is no article but there is a link to a Communist Party document from 1981. It states that the Cultural Revolution was created by Chairman Mao Zedong and that it "caused the most serious setback and loss for the Party, the country and the people since the founding of China". One blogger "Media Lao Wang" posted a picture on micro-blogging site Weibo that showed the front pages of five major Chinese newspapers on Monday and none of them mentioned the Cultural Revolution. Another Weibo user called @Sunshine rainingwind called the Cultural Revolution "China's appalling disaster" saying it had set civilisation back thousands of years and needed to be reflected on. Only Hong Kong media, which enjoy greater freedoms than their counterparts on their mainland, gave coverage to the anniversary. Phoenix Television, a Communist Party controlled outlet broadcast from Hong Kong, had prepared a special online feature on the anniversary but the link has now been frozen. It is seen by many as the most chaotic period of recent Chinese history, but analysts say there are some on the mainland who still lionise the leftist ideals of the age. Media captionWhat was China's Cultural Revolution? What was the Cultural Revolution? The Cultural Revolution was a campaign launched by Chinese leader Mao Zedong in 1966 to purge his rivals in the ruling Communist Party. It ended up destroying much of China's social fabric. Chairman Mao gave licence to Chinese youth to destroy the so-called four "olds" or perceived enemies of Chinese culture: customs, habits, culture and thinking. In the early years, a chaotic kind of youth "tyranny" prevailed which saw schools and temples destroyed. Children turned on their parents and students turned on their teachers, intellectuals were exiled. Thousands were beaten to death or driven to suicide. 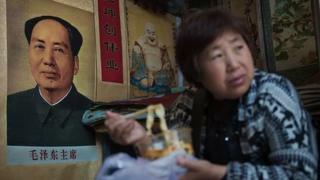 Mao also encouraged a personality cult around himself, which led to people almost worshipping his writings and image. It officially ended only with Mao's death in 1976. Millions were denounced and punished during this time, but there are varying estimates as to how many people actually died. 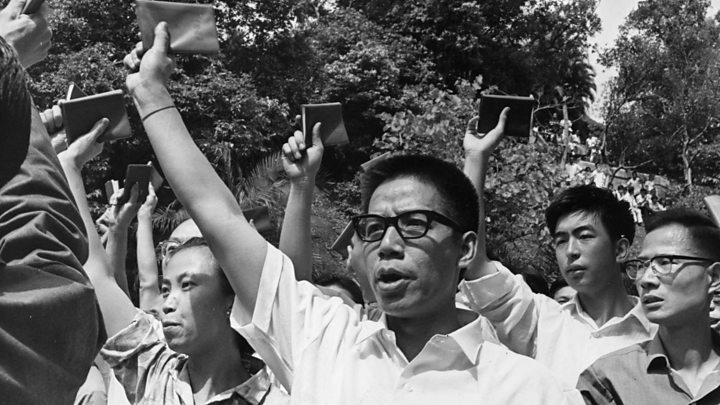 Video What was China's Cultural Revolution?